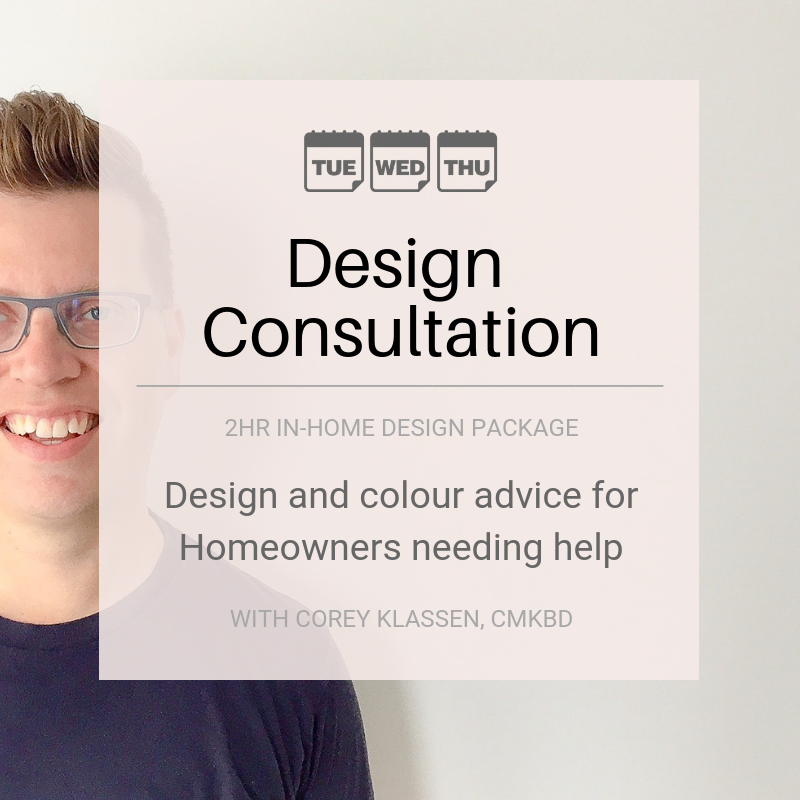 This Design Consultation is ideal for the Homeowner who is overwhelmed or confused as to where to start their project. We can cover finishes, furniture ideas & layouts, new purchases, kitchen & bath designs, artwork placement, lighting options, and window treatments - the choice is yours but it's ideal to keep the consultation to 2 rooms maximum. Price above includes 5% G.S.T. Meet at your home for up to 2 hours to review your design challenges and discuss solutions. Follow-up in the Client Portal with our recommendations of colour, furniture, layouts, etc. THIS IS A PERSONAL DESIGN SERVICE AVAILABLE TUESDAY - WEDNESDAY FROM 10A - 6P. Please note that our Designs are detailed and comprehensive and conceptual in nature. We can not be liable for errors or omissions in receiving incorrect information, not following our measurement instructions, or delays outside of our control. Revisions and changes add time; they are billed at $180.00/hr plus 5% G.S.T. and estimated and paid in advance of any design work. It is important that the Client be ready to work through this service and have the time dedicated in their schedule to work on their project. Additional fees apply for travel outside of Metro Vancouver, please contact us for details.